True to its roots, 100% continues to deliver unique and highly recognizable performance sunglass frames while including all the latest eyewear technology the brand is already known for. For almost a decade, Peter Sagan has continuously focused on what he’s famous for: winning grand tour stages, monument classics and world championships. Regularly polled the most popular cyclist in the world, Peter has become cycling’s modern icon. But what do we really know about Peter Sagan? “I have very little time in my life for anything outside training, media work and racing. But two years ago, when I decided to join forces with my guys at 100%, we got to spend some good relaxing time together in Southern California. Amongst other things, I remember we instantly clicked on our shared love of design and American vintage muscle cars. Sparks quickly happened and together with the creative team of Jerome & Marc, we went to work on this very special concept that would bridge the gap between one of my life passions and my every day racing. I was so excited!” said Peter. 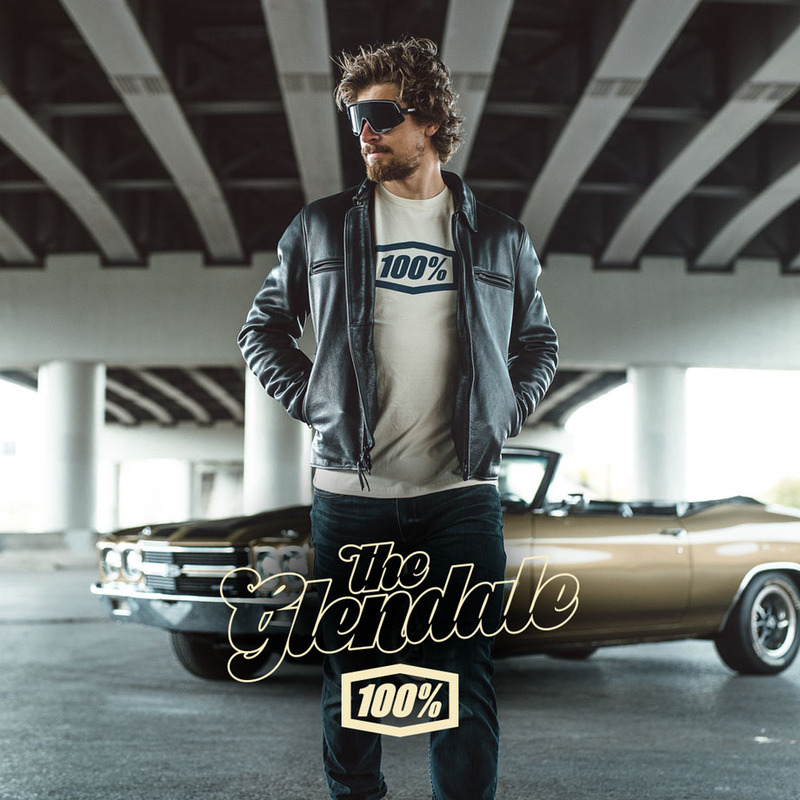 The Glendale’s performance is second-to-none comprised of premium frame materials and lenses that exceed today's most demanding standards of visual clarity, comfort and protection. The details in the construction enable users to customize nose and temple fittings. It strikes the perfect balance of timeless styling with premium technologies to match the demands of the most distinguished and demanding riders. o Shatterproof, lightweight TR90 frame - Made in Italy. o High-impact resistant and lightweight polycarbonate lenses offer 100% UV protection (UV400) o HiPER® lens Tech option available – All lenses made in France.